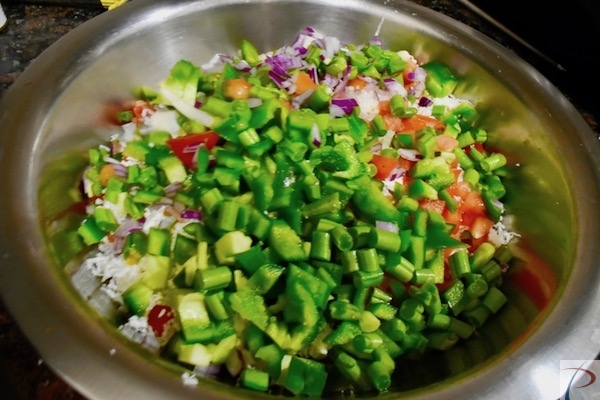 First, wash and cut Capsicum, onion, tomato, beans. 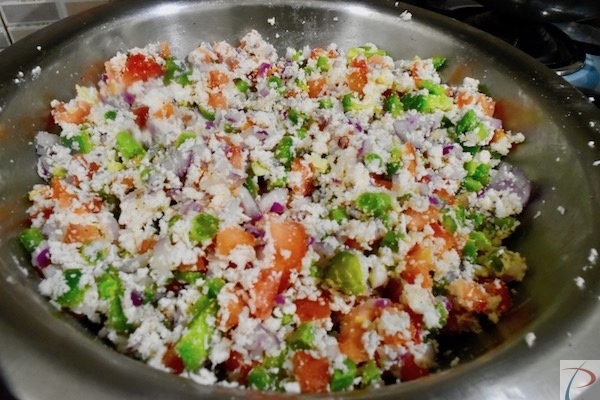 Grate Cottage cheese, mix cut veg in it with salt and pepper and keep it aside. 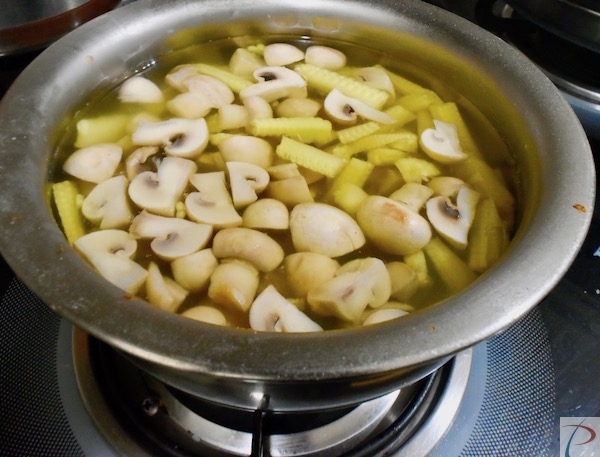 Now take Mushroom and Baby corn boil it, when it is little soft take it out and keep it aside. 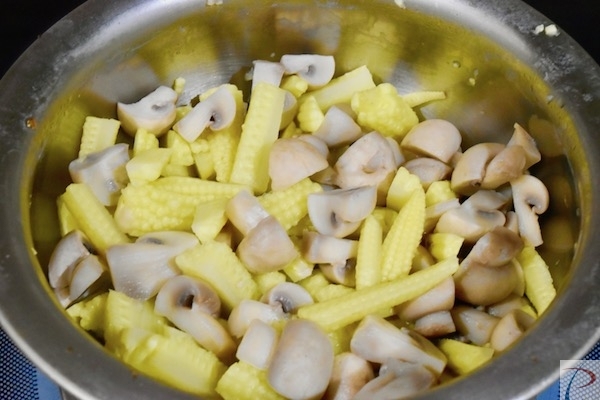 Your Pizza ingredients are ready. 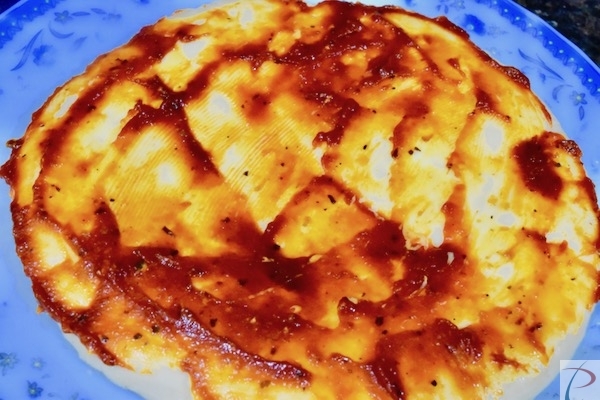 Take a pizza base, put butter on it and then Pizza Pasta sauce. 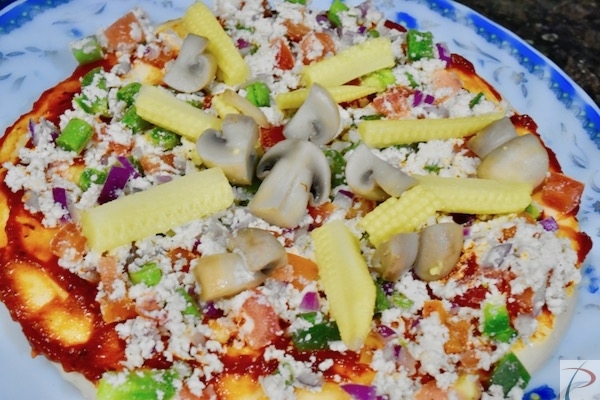 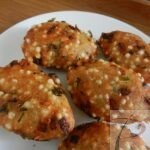 Put Cottage cheese mixture on it and keep mushrooms and baby corn on it as shown in the image. 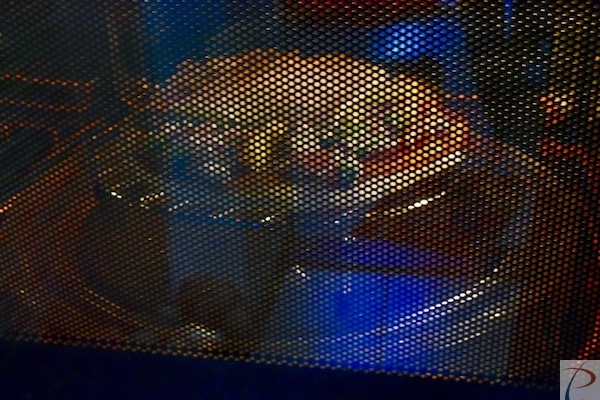 Now keep pizza inside the microwave, see if there is a pizza option given on it press it, if not please see from your microwave booklet and select temperature accordingly. 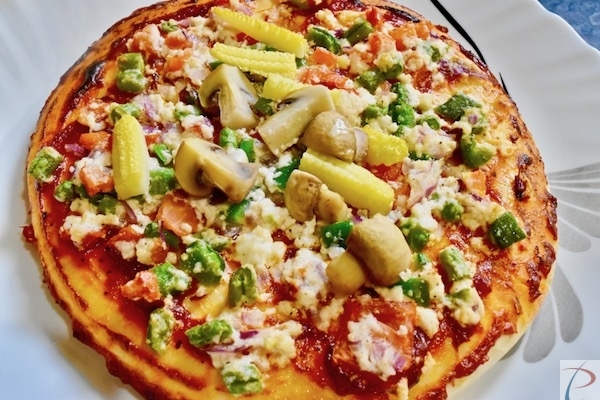 Your yummy tasty Veg Pizza is ready to serve, serve it hot. 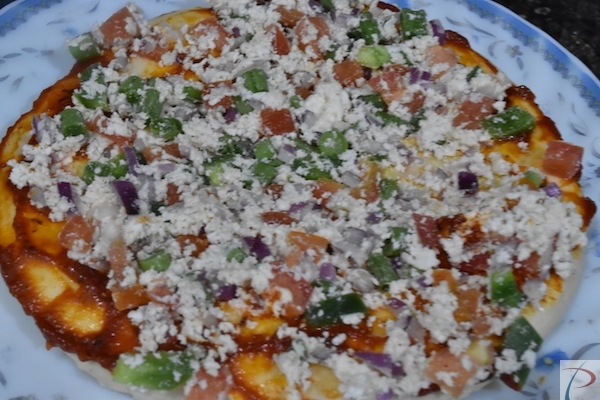 You can also try my Homemade Pizza recipe. 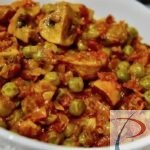 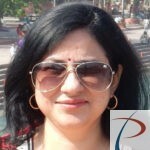 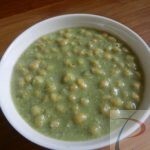 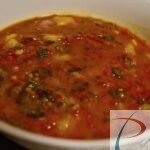 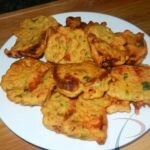 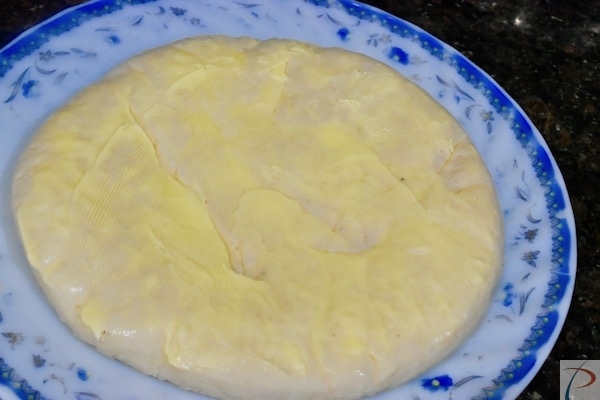 Italian Dishes, Gharelu Recipes, Paneer Dishes.